Beauty is the middle name of the great Pacific Northwest Coast. On both sides of the coastal border, an idyllic grouping of Islands invites discovery. This area is in some of the best protected boating waters in the world, and is ideal for sailing, kayaking, power boat discoveries. 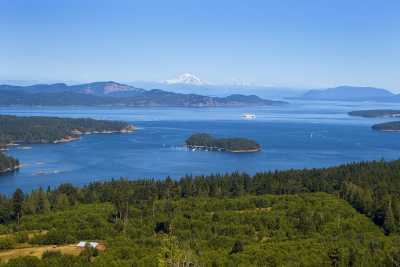 The U.S. grouping is known as the San Juan Islands. The Canadian grouping is known as the Gulf Islands. The Southern Gulf Islands are very close to the San Juans, visible to each other, and both enjoy a very temperate climate. Salt Spring is the largest and best serviced of the Southern Gulf Islands, with a year round lifestyle, and is home to vineyards, olive groves, orchards. The micro-climate is known as "cool Mediterranean". Come for a visit...or stay forever. An authentic artists colony, a farm-gate opportunity, a healing alternative health option...close to major centres and yet wonderfully apart. B. C. Family Holiday day… enjoy Salt Spring Island! Just some of the things to enjoy on Salt Spring Island! Early January thoughts… a new year, a new market.